You know this man as the iconic and inimitable Mahi. For fans, in India and abroad, he’s the ice cool leader of a team that seems to smoke more dust out of its opponents than a steam engine extols from a motor car. Now nearing 36 and about to enter his 10th year in the utterly tiring and dominating circuit of international cricket, Mahendra Singh Dhoni, Indian Captain in the limited over format is a man who dons many hats, most of them sporting a triumphant appeal that can perhaps inspire a whole new brand of Cricketing sonnets, thinking on the lines of Shakespeare. Been there, done that and not done yet, MS, as he is lovingly called has commanded a leadership position from where his picks in the team can either make or break the legacy of Team India and his own contributions, something he’s keen on delivering, have time and again reminded the harshest critics and the most joyous of cricket fans about the enigma that is the Ranchi born ace wicketkeeper batsman. At an age where Cricketers often become the ‘have been’ on the international stage, MS Dhoni, scorer of a whopping 13794 runs (Tests and ODI’s) and 1040 runs from T20 Cricket is on the cusp of entering a bright new chapter of life; captaining the world-famous IPL’s newly formed team- Rising Pune Supergiants, where he is to lead once again a team that’d be hoping to en-cash as much from a leader who refuses to give up, with 9 successive stints in Cricket’s most digestible and amazing entertaining platform under his belt. Those long dreadlocks have gone and the salt and pepper graying has exuded a verve of ecstatic cool for a leader whose calmness and sharp cricketing brain have unfurled some of India’s most memorable triumphs. International Cricket can be a tough place to survive. The game eats you up if you do not eat up your nemesis’. And they can measure in huge numbers, including patriotic fans and your most beloved supporters who can turn the back against you in nightmarish situations. Dhoni, who’s seen it all- lofty peaks, trial by fires and redemptive calls, refuses to fall. He’s lead coolly and by example in situations that were adverse to doing the unthinkable. Take the ICC Cricket World Cup 2011. 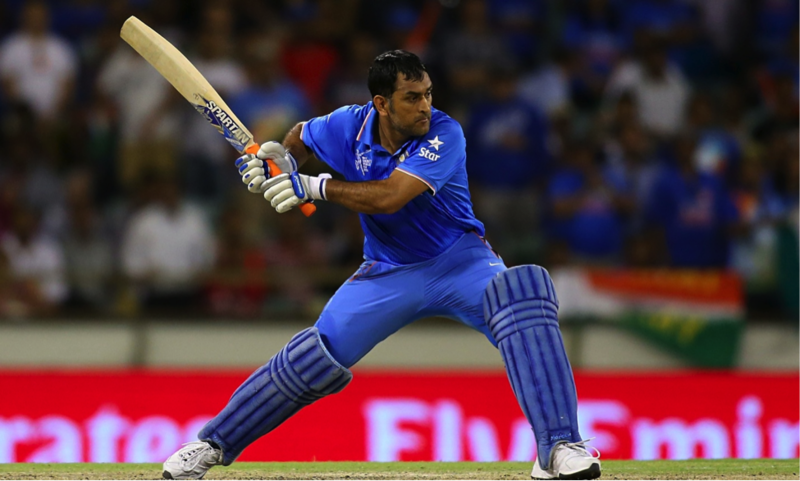 In the finals against Sri Lanka, enduring a torrid season with the bat, Dhoni promoted himself from the lower order and struck a masterly 91 not out, including that massive six to guide India to its maiden world cup victory on the home turf. He’s the guy we need when we are looking to get away from troubles. There was a time when World Cricket ran on the lofty peaks of some of the finest finishers of the limited over format. Take the likes of Aussie legend Michael Bevan, Zimbabwean great Andy Flower and Protean great Lance Klusener for example. But those were shining examples of a time gone by. Enter 2007 and things would change forever. With the exit of Dravid as India’s captain and Dhoni taking over the leadership mantle soon after, world’s best bowlers, including Murali, Umar Gul, Jerome Taylor, Fidel Edwards and most noticeably, Shoaib (remember that mighty hook for a six during the 2008 tour to Pakistan) and Mitchell Johnson had their task cut out: contain the big hitting Dhoni. Together with Yuvraj, a young long-locked Dhoni’s blitzkrieg exploits often ran into India’s opposition as beautifully as it gave rise to MS ‘ the big hitting’ Dhoni. 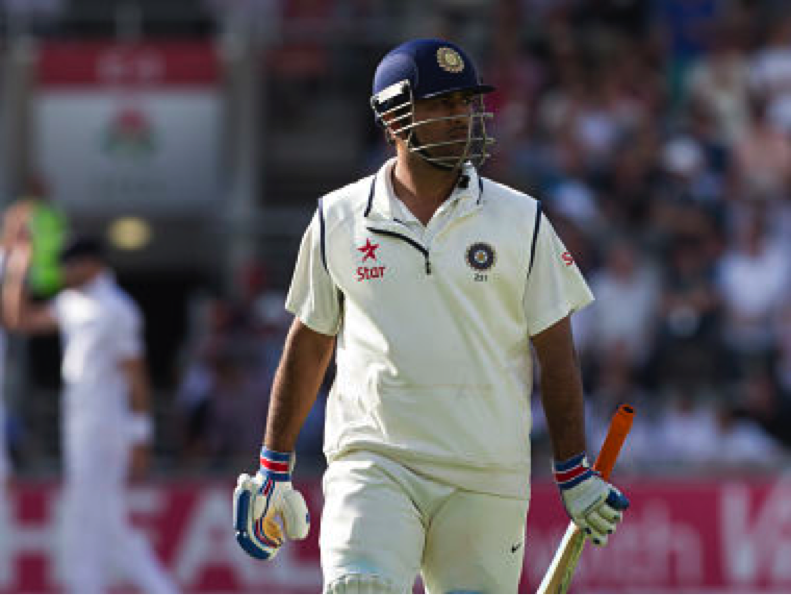 Dhoni retired from Test Cricket in 2015 as India’s most successful test captain ever, superseding the likes of Ganguly at Azhar. He first led India into a test match as a captain against South Africa, back in 2008. Mahi has the following heights that stand unconquered : most wicket-keeping dismissals in tests at 294. He did not lose any of his first 11 tests where he captained, a record of the longest winning streak by a test captain since his debut into Test Cricket. Also, his most golden period in Test Captaincy came during February- November, 2013- where Team India did not lose a single test and won 6 consecutive test matches, a world record. And, it was under Dhoni’s captaincy that India posted their highest ever test match score, reaching a scorcher at 726 for 9 declared against Sri Lanka. Off the 4876 test match runs that Mahi has accumulated, he’s scored over 3400 of those at a significantly higher batting average of 40 as captain, as against the paltry 1400 that he has collected at an average of 33 as a player. 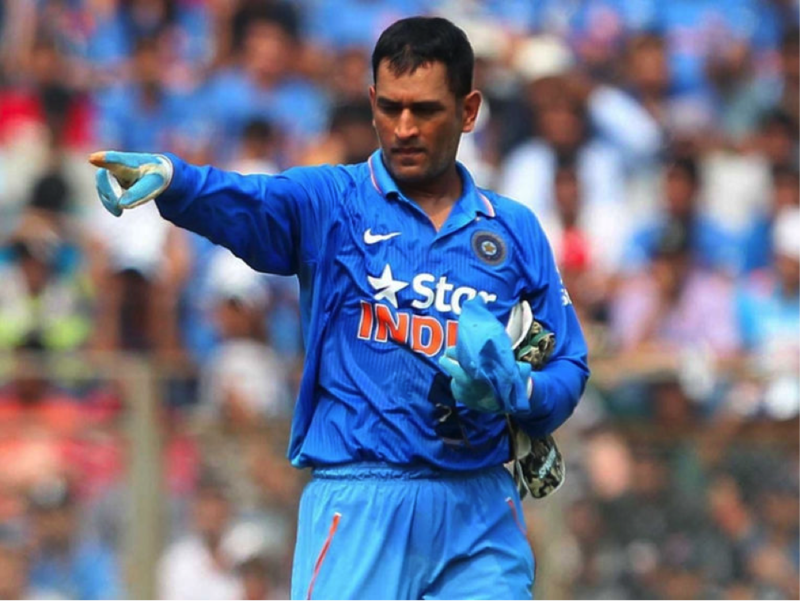 From the period of 2007 to 2016 where he continues to be India’s go to man as its limited over’s cricket leader, MS Dhoni has captained the men in blue in a record 191 matches. From these, a massive 104 have resulted into victories for India with just 72 losses been conceded by the men in blue. This is the 4th most successful record for a One Day captain, following the seasoned campaigners, Rickey Ponting, Stephen Fleming and Arjuna Ranatunga. Dhoni’s win percentage of 58% is significantly high than all time legends of the game including Brian Lara, Sanath Jayasuriya, Imran Khan, Saurav Ganguly and Richie Richardson, also Lara’s compatriot. 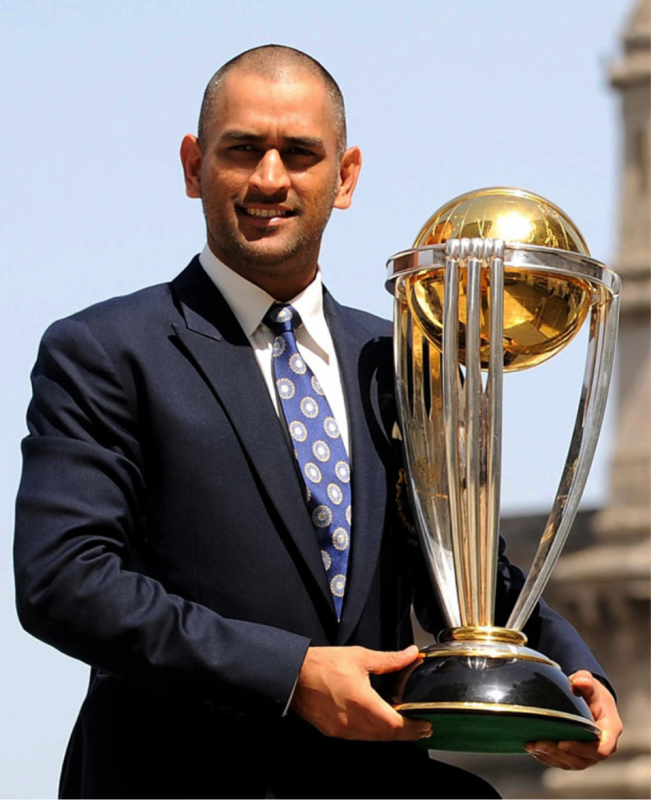 Dhoni, who continues to straddle with his doubters wanting his exit perhaps best considering his graying hair if not for anything else has managed to secure a highly impressive and utterly dominating stint in Cricket’s greatest carnival: the 50 Over ICC World Cup Tournaments. In the ICC World Cup history, he has led India to an unprecedented 12 victories as a captain, ahead of Kapil Dev(11), Azharuddin(10) and Ganguly (9). Out of these, 9 were consecutive victories for Team India. For a brutal hitter of the cricket ball, one often limits the purview of a batsman as having an impactful scoring rate, a nasty one at that. Batting averages, however, are often found as being skewed in low key terms for big striking batsmen. But not for Dhoni. Yeah, he’s in a league of his own even when it comes to scoring at a consistent pace from his batting position. Let’s take Gayle, De Villiers and Kohli as example. The Jamaican averages 37 with a strike rate of 85 in limited over cricket. South Africa’s superman De Villiers stands at a phenomenal batting average of 54 with 100 as his strike rate. Dhoni, on the other hand, is nearly as brilliant as Kohl; India’s frontline batting ace with an exceptional batting average of 51 and a strike rate reaching north of 89. With 8918 ODI runs with 60 half centuries and 9 tons, considering that most of those have come when the Indian skipper comes into bat with little over 10 overs remaining considering his lower order position, he is well ahead of Gayle from the contemporary era and all time legends like the Lara’s, Waugh’s, Inzimam’s and Afridi’s. You would rather play beside a leader around whom you can stick like a glue than feature under a despicable zealot who just wants to captain for self-glories. Reference to context being: Nassir Hussein and Hanse Cronje (until the match fixing did him in, he was a giant). 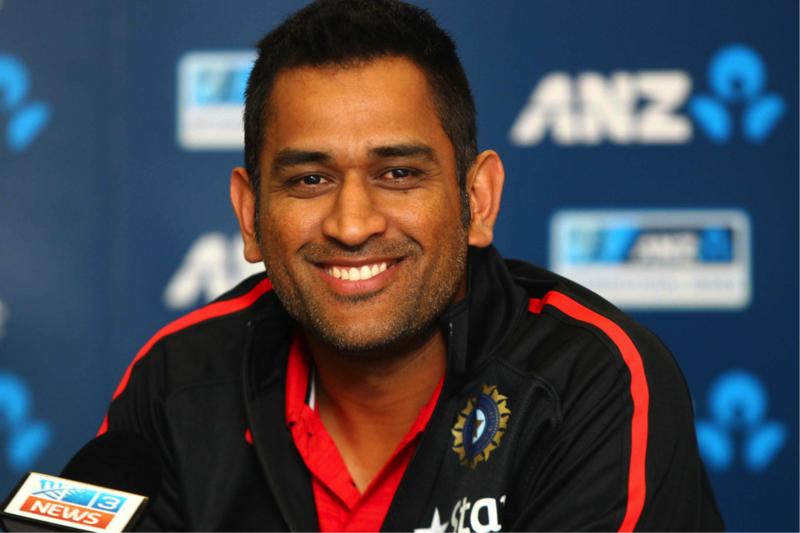 Dhoni, the affable and smiling leader has been the glue that binds India. Often seen standing and interacting next to Rohit and Dhawan in slips, he’s the fast runner between the wickets with Yuvi and Raina and one whose quiet and peaceful celebrations barring those needless shenanigans beautifully complement the exuberance of more expressive youngsters in the side. An exceptional catcher, he’s affected countless dismissals with Nehra, Ashwin and Harbhajan and now, at 35, having mastered many run chases with Yuvraj Singh and Sachin himself, is the constant source of motivation for India’s greatest limited over batsman since Tendulkar: Virat Kohli. A man on whom you would lean during your lean periods, MS Dhoni has been the icon of it all: India’s resurgence as a force to reckon with, a unit that has produced starry names in Cricket’s contaminated pond and even its untimely falls.